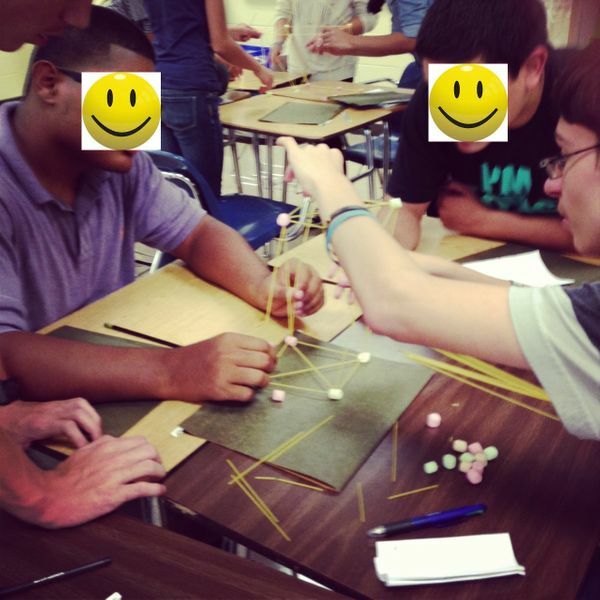 A geometry spin on the Marshmallow Challenge. Students were creative and enthusiastic the whole time. Teachers did a great job making the connection back to the geometry afterwards.